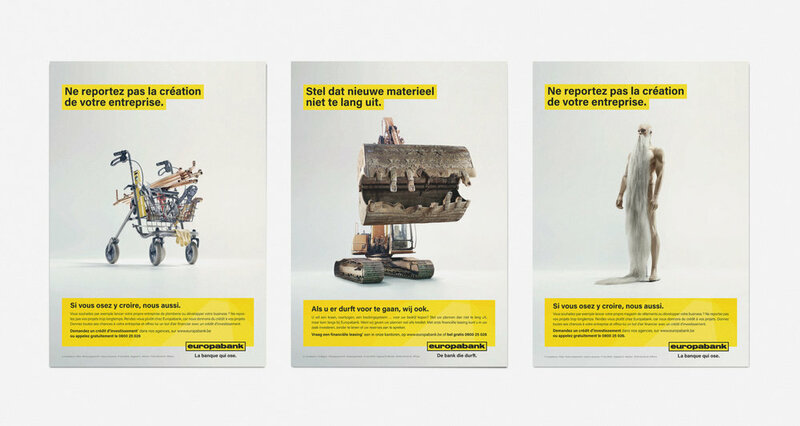 Gutzandglory created a new series of print and radio ads for Europabank, targeted at professionals. The campaign is the result of the new strategic positioning that was developed for the bank: The bank that dares to invest in the dreams of entrepreneurs who dare to pursue them. However, sometimes business owners postpone investments that are necessary. This campaign shows the results of this deferment in a humorous and sometimes absurd way. The products central to the ads are investment loans and leasing and renting solutions. The campaign is featured in magazines, newspapers, radio, in-store and online.